The best designer deserves the best designs. If you are in or around Maryland I am sure you've heard of Amy Schwartz. Her company, Amy Schwartz Interiors, is one of the best interior design companies in the DC Metro area. 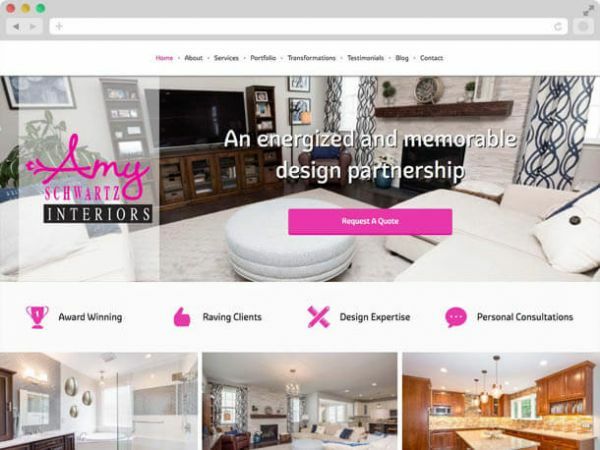 Amy is committed to creating comfortable, inviting, and practical residential spaces for her clients but didn't have the time to show her website the same attention. Since we love supporting amazing people we jumped on the opportunity to help someone as fantastic as Amy. 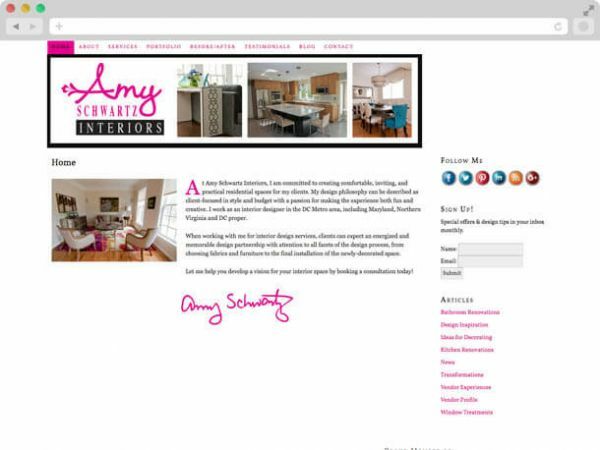 We worked tirelessly on Amy's new site tweaking it until it was perfect for her. As with any good website, it's never completely finished and we continue working with her to this day to make changes where needed to make sure her website properly displayes the level of professionalism and creativity she pours into all of her clients projects.